How to be happy? As moms, the answer to this question is so much more complicated than it seems. How to be happy? How to be happy when you spend most of your day making sure everyone else is happy first? In the depths of postpartum depression, I began pursuing the answer with fervor. Everything in my life felt like it was out of my control. I had a new baby who wouldn’t let anyone else care for her. My husband was battling his own demons, our marriage floundering in the background. Maternity leave was ending, and a full-time career awaited. Then there were my two older daughters, kind little souls struggling to make sense of it all. I felt overwhelmed with a lingering cloud of depression hanging over my head, and then I realized something. Being happy doesn’t mean not having hard things to deal with. Being happy is choosing to prioritize your happiness despite the hard. Because you deserve it. I decided to take control of my own happiness. I grabbed the reins of my life with both hands and got to work answering my own question: how to be happy no matter what life throws at me? The answer didn’t come as simply as I expected. Instead, it came in the form of small habits. Making time for yourself, making yourself a priority, practicing self-care… these are all things I’m constantly talking about on this blog and to my mom friends. Admittedly, I don’t do it as often as I should. Honestly, it’s why I created Oxford Momma, my self-care book subscription for moms. Even I needed a monthly reminder to invest in myself. So, create that reminder for yourself! Whether it’s signing up for a subscription box reminder, scheduling a monthly pedicure, or making sure you sit down with a cup of tea/coffee before everyone wakes up, make a habit of it. You are a priority. When I was pregnant last year, there was a time when my husband was just not checked in. I’ve been fairly transparent about our struggles which largely stemmed from things he was going through. We’ve been through a lot, and he’s in a much better place now (with the help of rehab and lots of amazing mental health professionals), but when you’re pregnant, it’s hard to invest in something outside yourself. It’s hard to be supportive when you’re growing a human being and preparing for all the things that motherhood brings, whether you’re having your first or your third. I remember calling my sister crying because all I wanted was a foot rub. Everything hurt, I was swollen everywhere, and I just wanted to feel important. Should my husband have put me first? Sure. Was he capable of doing that at the time? Nope. So why was I putting him in control of my happiness? Why was he controlling whether my needs were met or not? Needless to say, I scheduled a 45 minute foot massage at the local spa the very next day. I gave to myself, not because of my husband, but because I was making myself important and putting myself back in control. As much as I’d love to say blogging is my full-time gig, I’d probably go insane without a myriad of projects going all at the same time, so I work full-time in addition to blogging and running various side projects. One of my company’s founders gave a lecture once. One thing he said that really struck a cord in me was stop looking for a job you’re passionate about and start being passionate about the job you have. That was so profound to me, and it’s something I’ve thought of often since that talk three years ago. Too often we get caught in this loop of unhappiness. If I had a job I loved, I’d be happy. If I had a hobby I was passionate about, I’d be happy. If, if, if. The truth is, that kind of passion is fleeting. It’s a waiting form of inaction. Stop waiting for something you’re passionate about to happen to you, and start finding things you can be passionate about in your every day. That choice, that intentional change in my perception, has made such a difference in how I feel and accept happiness into my life. I love this attitude 🙂 With my husband, I try not to get PO’d when he doesn’t take initiative to tend to my comfort. Im trying now to simply ask him for EXACTLY what it is I want. So far, he has! That’s great! I definitely think that communication and transparency are key. This is such a great post I need this. You are right happiness is a choice. I agree that happiness is a choice. 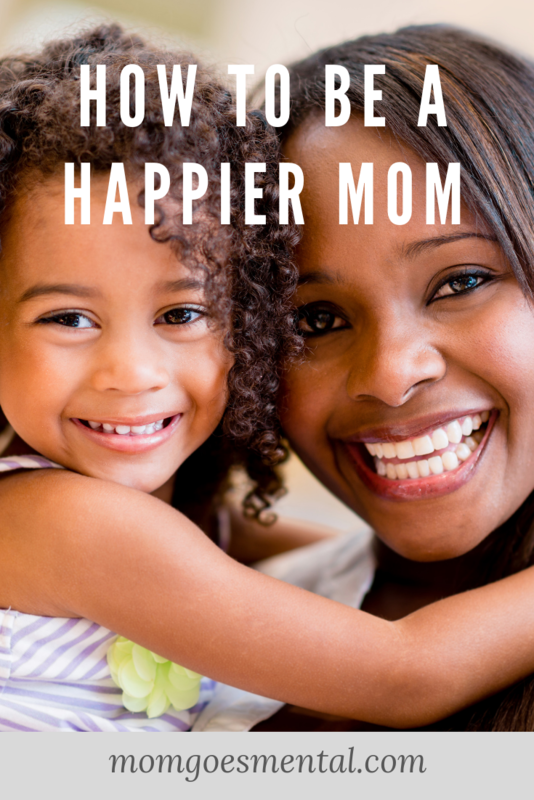 We can be happy because of our husband and kids, but we need to choose to be happy for ourselves too. Every now and then I like to do something just for me, because I need that time by myself. I could not agree more! Happiness is totally a choice! Thanks for sharing!